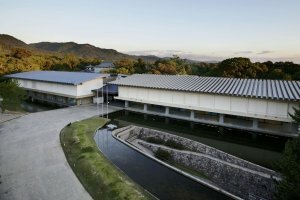 The Nara National Museum (Nara) will hold the 70th Annual Exhibition of Shōsō-in Treasures, an exhibition that allows the public to view the treasures stored in Shōsō-in, from Saturday, October 27th to Monday, November 12th. Fifty-six artifacts will be on display—including 10 items never previously exhibited. 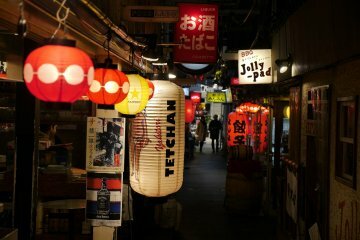 These are mainly treasures related to the aristocratic and Buddhist cultures that flowered around the capital of Nara (Heijokyo) in the 8th century. 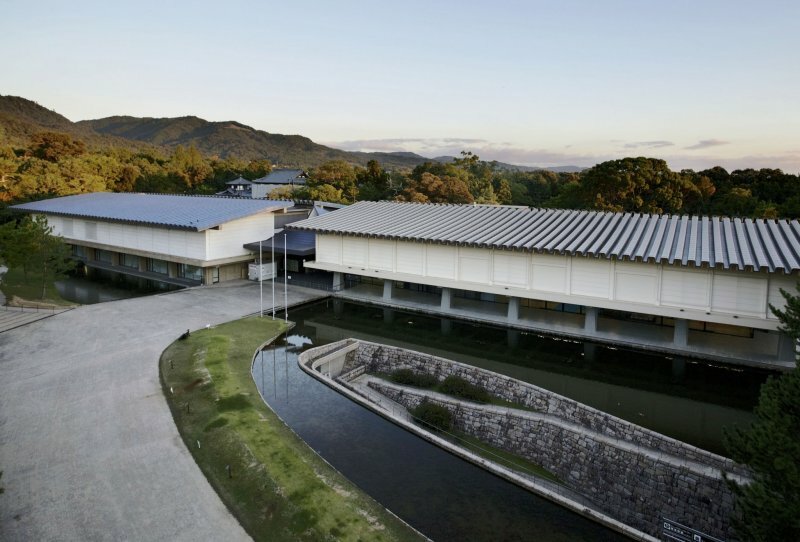 The exhibition is hosted by the Nara National Museum in partnership with The Yomiuri Shimbun newspaper. This year’s exhibition marks the 70th anniversary for the event. Shōsō-in is a treasure house and registered World Heritage site that used to belong to the Tōdaiji Temple, but is now under the control of the Imperial Household Agency. 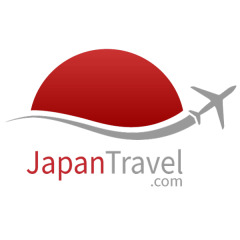 It stores approximately 9,000 items with utmost care, including objects and art objects that were used by Emperor Shōmu (701–756), who built the Great Buddha at Tōdaiji Temple. 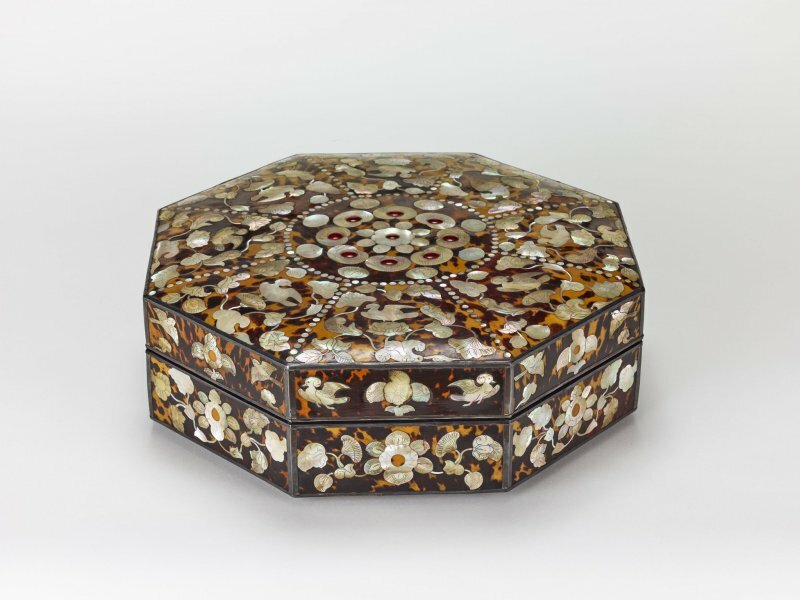 The Eight-Lobed Mirror Decorated with Mother-of-Pearl on the Back is a mirror adorned with shells and gems that were much-loved by Emperor Shōmu, and will be on display during the exhibition. 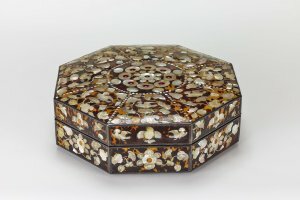 The Octagonal Offering Box Decorated with Tortoiseshell and Mother-of-Pearl, which will also be displayed this year, is a splendid box decorated with various shells, including tortoiseshells. Both of these items are valuable treasures that demonstrate the high level of artistic skill of the period. The museum is open during the entire exhibition period. Opening hours are 9:00am to 6:00pm – and open until 8:00pm on Fridays, Saturdays, Sundays and national holidays. 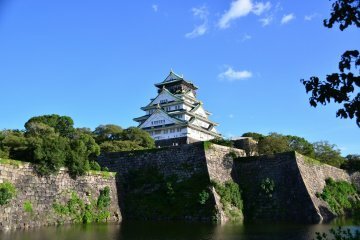 Admission is until 30 minutes before closing time. Entry to the exhibition (on the day) is ¥1,100 for general admission, ¥700 for senior high and university students, and ¥400 for junior high and elementary school students (with a ¥100 discount on any type of ticket bought in advance). I love Japan's mother of pearl lacquerware! It's always so beautifully used.